In today’s complex, IOT-driven, and internet-centric business world that is more and more dependent on a safe and secure internet for its success, the need to understand the risks of possible cyber attacks to your networks, and breeches to your personal inrfomation is more needed today than any time in our history. Today, mastering cybersecurity is evolving as the primary critical success factor in a cyber-insecure world where now advisory boards and executives need to think critically about cyber challenges facing their organizations. The need to be "pro-active" in your responses to cyber risks today is vital. "No longer is Cybersecurity being "handed off" to the IT department. Cybersecurity starts at the top and works its way down to the base of your organization." Cybersecurity and Risk Mitigation is everyone’s business NOW ! That's why the NCX was created. We are a unique group of cyber technology specialists, computer networking and communications professionals, business people, insurance specalists and industry experts who have a unique understanding of the roles and responsibilities that boards, executives and corporate leaders have in protecting the security of their businesses. And, that's why we developed the NCX|CyberExecutive Membership Support program. It's a Cybersecurity Support and Educational Membership Program for Executives for just $49.95 a year. For this amazing price, the NCX puts into your hands a set of tools and real-time information alerts that are geared toward addressing your companywide risk management challenges, and also to provide you with a set of training and education soltuions that will help you take a leadership position in your organization in the area of cybersecurity protection and awareness. The NCX|CyberExecutive program focuses on how cybersecurity breaches and attacks have a broader impact on enterprise risk. 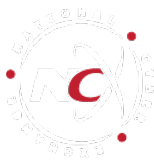 And with our innovative and interactive training programs (including webinars, videos and self-paced training), NCX will equip you with a level of cyber expertise and "situational threat awareness" knowledge that is vital in today’s fast-paced business environment. With training developed and delivered by cybersecurity experts, (and sourced from Imprimis, one of our key Cyber Training and Education Partners) we pride ourselves on the long legacy we have had in training many organizations to meet their cyber challenges. We are dedicated to ensuring you have the necessary knowledge, tools and connections to make cybersecurity-related business decisions. NCX understands that cybersecurity is a new and fast moving world of complex terms, technologies, and challenges with a lot of foreign concepts and ideas that board members and executives have had have little time to grasp and absorb. We also understand that every organization (small or large) is different and has unique and specific cyber risk and cyber technology training needs. Because of this, our cybersecurity and education experts developed cyber solutions to help you and your team understand and manage these growing cybersecurity challenges. With cyber breaches on the rise and no end in sight, the NCX|CyberExecutive program provides the busy executive with policy recommendations, trainings, guidance in network security and how to change the culture of an organization to be more "Cyber Savvy". The C-suite executive receives recommendations on cyber policy to meet business continuity, as well as financial and fiduciary requirements.